Thank you for joining us for our 2018 annual Holiday Celebration. About 65 people from the community toured the home and enjoyed cookies, coffee and cider, special displays of gas lights and vintage Holiday Cards collected by Lily Moore. 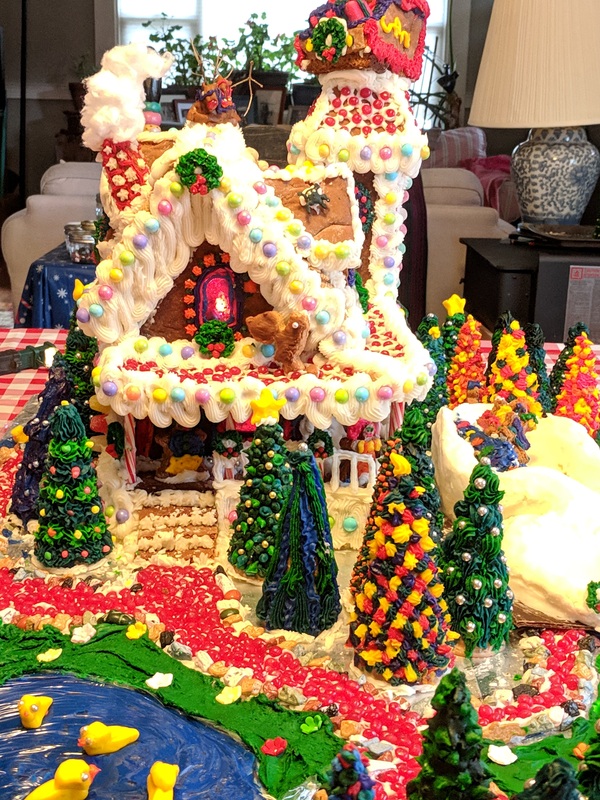 Gingerbread House was on display at the Floed-Lane house at the Holiday Celebration. Created by Laura “Hoppy” Whitman, Chadwick Neighborhood; Mellie and Libby Stark Halloran, Joseph Lane Middle School; Kyler and Jazlyn Alexander-Gingerly; Roseburg High and Ucc; Hayley Ardito, UCC .